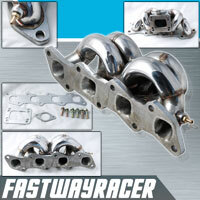 Brand new Nissan CA18DET stainless steel turbo manifold. 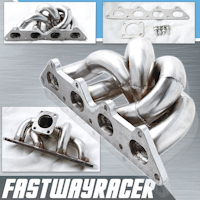 The turbo manifold is made of high quality 321 stainless steel and fully TIG weld. 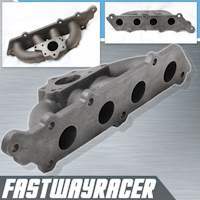 It includes bolts and gaskets. It has direct bolt on design and allows power steering and air conditioner. 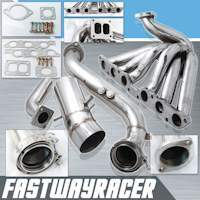 It is good for huge horsepower increase along with improved more air flow, gain 5-8HP. 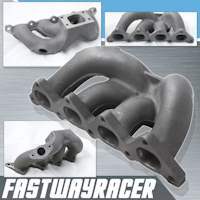 T25/T28 turbo flange.